Congratulations you've passed your Driving Test, so what do you do next? Pass Plus is a training scheme for new drivers. 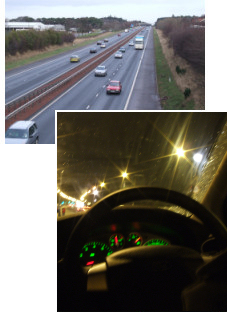 Its aim is to improve your driving skills and make you a safer driver. It can also lead to insurance discounts (approximately 1 years no claims bonus). The scheme has been designed by the Driver and Vehicle Standards Agency (DVSA), with the help of the motor insurance and driving instruction industries, to develop your skills and knowledge in areas where you may have limited experience. The Pass Plus is made up of six modules covering Town driving, All-weather driving, Driving out of town, Night driving, Dual carriageways and Motorways. Your instructor assesses the modules over a minimum of 6 hours, with no test at the end. You can take your Pass Plus any time in your driving career, but it's mainly aimed at new drivers in the first year after passing their test.